Perhaps you’ve had a similar experience with an acquaintance or relative who wouldn’t take the hint to leave, but instead made excuses to linger and annoy. This sketch came to mind, however, as I thought about the close of 2015. If I could sum up this entire year, I would say it often seemed like the annoying thing that wouldn’t leave, thanks to its many challenges. So I’m delighted to finally see the backend of 2015. I wouldn’t care to repeat one day of it. Many people dear to me have had a hard year due to job loss, tornadoes, loved ones with cancer, health issues of their own, financial reversals, multiple rejections, and other disappointments. If you’ve read this blog this year, you know I can relate to all of those. I know. I shouldn’t blame 2015 for the hard times I and others faced. Recently a friend sent a post to me that really hit home and caused me to see those hard times in a new light. If you have a minute, take a look at it. I won’t mind if you dash off to read it. Rachel, the writer of this post, makes a good point about the way trials test your resilience. Just as rough terrain tests the quality of a tire, you find out what you’re made of when life’s terrain grows rocky. So many times I’ve felt like I was made of gelatin, thanks to my tendency to shake with fear or melt into a puddle when the heat was on. Yet by the grace of God I’m here still with dirt under my fingernails. And so are you. 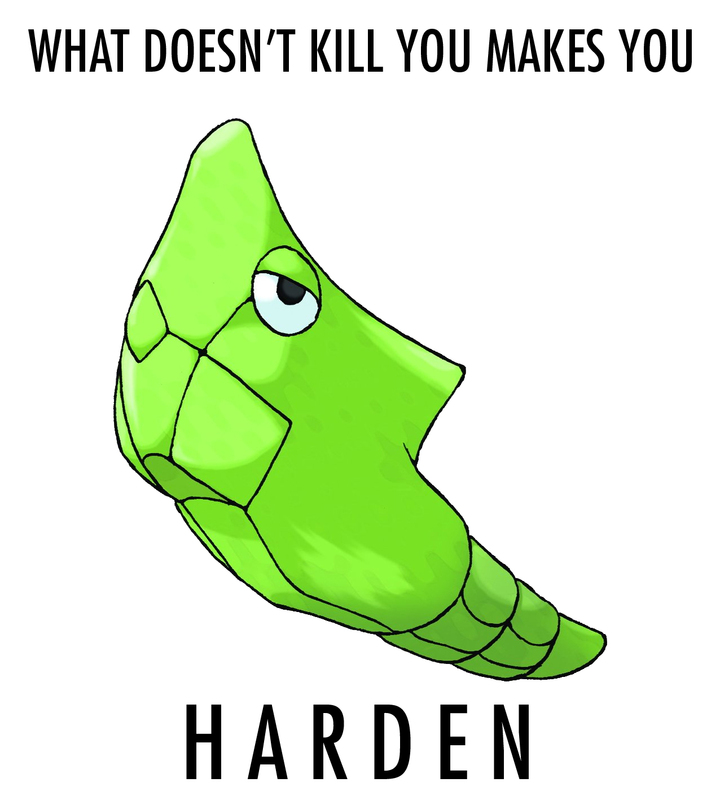 Now I’m suddenly reminded of Metapod, a Pokémon with a skill called harden which always seemed useless to me whenever I played a Pokémon game. After all, it is a defensive skill, rather than offensive. Its skin hardens to help it defend against attacks. But now I see the usefulness of this skill. In the game of life, we could all use this skill to help us persist when the blows come. Yet, the temptation to grow harder in a cynical sense will beckon, however. We have to fight against that temptation in order to show compassion for those around us who are suffering. So, good-bye, 2015. You’ve taught me that when life is tough, I must be tougher. 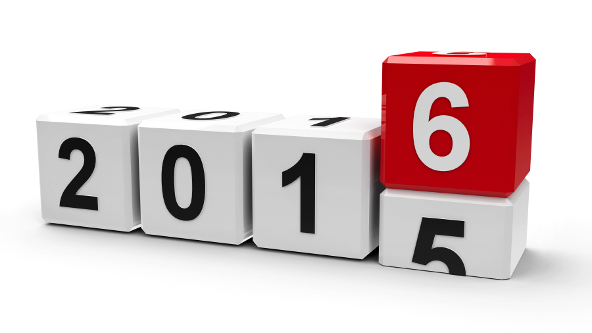 What has 2015 taught you? 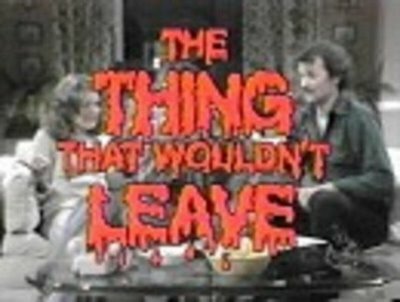 “The Thing That Wouldn’t Leave” image from engineeringwellness.com. Year changing image from sageone.es. Metapod from memeaddicts.com. This entry was posted in Life, Seasons, Television Series and tagged 2015, 2016, John Belushi, Saturday Night Live, yearend reviews by L. Marie. Bookmark the permalink. My year has been about balance. I have had some challenging times, I have had some great moments. 2015 has taught me not take things for granted, nor not to write things off. Very true, Andy. I thought of you as I wrote the post–how good and bad things happened to you. I’m so glad to witness the launch of your books with Nordland. Here’s to many more! Thanks Linda. That sounds good! This past year has taught me to take and appreciate the opportunities that are given me rather than holding out for the ideal thing or wishing that’s what I had. In other words, enjoy the carousel ride even if someone else grabs the shiny ring. I hope your 2016 brings you all good things, Linda, making this year’s trials a distant memory. So wise, Lyn. And I have seen how you live this out through your translation work and through the release of your novels. So glad I went to VCFA and met you! Think I’m more cynical. I’ve learned not to get comfortable and never to start a year with too much enthusiasm. To be fair, I never liked Metapod and find him such a chore to get to Butterfree. So many battles where I ended up only having him left and that’s basically the end. Metapod was never worth the effort to train to get to Butterfree. I usually wound up storing Butterfree. I prefer Magikarp. Gyrados is so much better. I tend to keep my expectations low about what a year might bring. That’s why I never make resolutions. I make short-term goals. I worked on it because Butterfree came in useful and I figured it was how the game worked. Quit before I could get the Magikarp all the way up. I think. Been over a decade since I played it on an emulator. I’m just making a list of things I want to accomplish by the end of the year. Seems to work out better. Magikarp evolved around level 20–a long time to haul around a worthless Pokémon. 😦 But in the earlier games I was determined to have a good dragon Pokémon. I need to follow your example. I set one goal last year that I almost made, though I knew it would be hard to reach. It at least caused me to strive for it. My goal was to get a Charizard, but that never came to pass. Honestly, I just couldn’t bring myself to plunge a ton of time into the game. Only reason I know so many is because of Super Smash Bros and the cartoons. I also wanted a Charizard. Now I want to play Pokémon! I traded in some of my old games at GameStop to get Pokémon X. Now I want some of the old ones back. Can’t say I have the urge. Haven’t played a video game in a long time. Feels like a lost hobby. A lot of the teens I know are really into League of Legends. I quickly stopped playing that one. Never tried the phone games. Too high risk of losing time. So you never played Candy Crush Saga or Sims FreePlay? (You aren’t missing anything.) I deleted all of the phone games I had. The Push Notifications at 3 a.m. and the time wasting got to me after awhile. Nope. I avoid those games like the plague. Especially the Facebook invites. I stopped the Facebook games years ago while playing that Mafia game that demanded that you invite your friends to join your mob. 😦 And I never do Words with Friends though friends ask me to join. I think I was playing a vampire one and that was the same issue that stopped me. You hit that wall where you can’t go further without inviting friends, which could lead to them not being friends any more. Or those friends stealing from you, which causes you not to make progress which leads to a loss of friendships. That happened to me with PackRat. Arrrgggh. Stealing? Never made it far enough for that I guess. Be glad you’re free of those as am I! I love the way that you always find the PERFECT pop culture reference to make your point. I can relate to Andy, seeking and working to achieve balance. I truly love what Lyn shared — about appreciating opportunities that are available rather than wishing for what is not and enjoying the ride even if someone else grabs the shiny ring. (That last part is the hardest!) Thank you for another year of posting, Linda! Laura! Thank you! Yes, all wise advice. That’s why I often take social media breaks. In that way, I tend to business, rather than staring at what someone else is doing. But yes, life is a gift to enjoy! This year has taught me that life can change in an instant. We must embrace each moment, even the difficult ones because there is no guarantee we will have tomorrow. Everyone has problems, but wallowing in self-pity won’t change anything. God engineers our circumstances and we must trust Him. Thanks, L. Marie! You’ve been a great support to me. I appreciate your friendship. Likewise! Looking forward to more of that in 2016. Perfect! My year in reflection, yet, here I sit, with my family around me, youngsters with all the optimism and enthusiasm that children seem to have. 2015 has been a trying year for so many reasons, many of them on a national and an international scale. War, weather, worries . . . I bid it adieu with hope for some positive news – and a happy new year for you, L. Marie. I’ve enjoyed getting to know you this year, Penny. Your blogs and your reflections are so wise and wonderful! I’m going to have to have you write a guest post in 2016. Life is what it is . . . we live it, or we miss it. Love that quote, Nancy! I need to copy that and put it on my printer to look at each day. 2015 has probably been the most trying of my life. But like you, I’m still here. Laughing. Don’t forget to laugh. It really is the best medicine – apart from Nitrous Oxide. I’m sorry to hear that this has been a hard year for you, John. You’re right. Laughter really is the best medicine. I agree, we can get tougher, but not bitter. I always have hope for a better future and I pray the same for you. 2014 was the tough one for our family. My mother suffered a severe surgical complication. But 2015 brought healing and better health, so it was a nice chance to catch our breath. I remember you talking about that. I’m glad your mom is better. Oh, so many hugs for you, Linda! One of my best friends had a super crummy year, too. 😦 I hope both your and her 2016 will be filled with blessings that make 2015 feel like a fluke. Thank you, ReGi! The videos on your Monday mirth were so timely! I really enjoyed them, especially the Family Force 5 one. Thank you, Marie. Happy New Year to you. I hope for a good year for you. Last year had its ups and downs, didn’t it? What are you knitting these days? How is your writing going? Ha! I know what you mean. I was on a crocheted tree kick for a while. Before that, I made several dishcloths. Have to find something new.